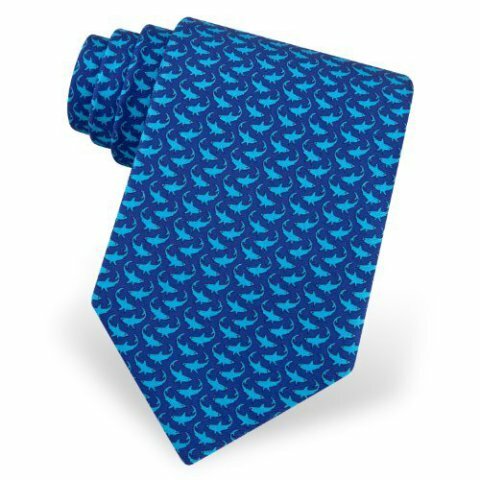 Show dad you care with this cool Micro Sharks Silk Tie Necktie that is fun and stylish. This is one gift that won't bite. A fine blend of sophistication and fun will be a splendid addition to any man's wardrobe. Made of 100% silk, this tie is high in quality and will wear well for years. Also available in bow tie style. For more information or to order, click here. 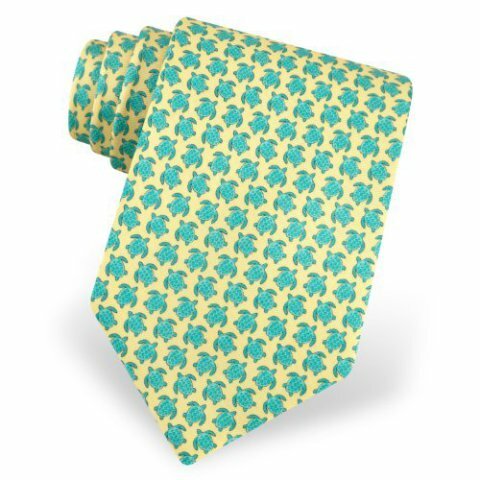 If sharks aren't dad's favorite marine life, this Men's Silk Micro Sea Turtles Tie may be just the thing. The whimsical turquoise sea turtles swim across a yellow background in style. Also made of 100% silk, and also available with a darker blue background. For more information or to order, click here.